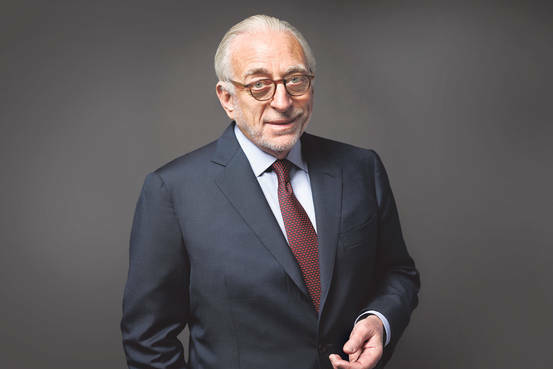 Nelson Peltz was an activist before the term was popular. Targets like Pentair are bigger, but his aim is the same: Cut costs, boost sales. You’d think that Nelson Peltz and his fellow operatives at Trian Partners would be down in the dumps after recently losing a hotly contested proxy fight to win seats on the DuPont board. That wasn’t the case when Barron’s met with Peltz and his Trian hedge fund co-founders, son-in-law Edward Garden and longtime business sidekick Peter May. They were upbeat, even defiant in our discussions in their conference room on the top floor of a Park Avenue office building. They had ample cause to be bitter. Peltz, 73, would be on the DuPont (ticker: DD) board had just one of the big index funds families, Vanguard Group, State Street Global Advisors, or BlackRock, swung to Trian’s side, as most active money managers did. Another 5% of the shares voting Peltz’s way would have carried the day in what many viewed as an important test for activist shareholders. But the investor and his colleagues obviously were ready to move on. Last week, they revealed a new stake in pump and valve maker Pentair (PNR), and they haven’t forsaken DuPont. “At least we’ve succeeded in educating DuPont’s board and shareholders so they won’t continue to accept mediocre earnings performance by the company. We won’t be the only ones monitoring the company and its management,” says Peltz. Their $1.5 billion DuPont stake will probably remain, they say. In their estimation, the position is likely to keep the pressure on DuPont Chairman and CEO Ellen Kullman to follow the Trian plan of cost-cutting and business restructuring. Should Kullman fail to perform, there’s always a chance, says one Trian exec, that the firm may mount another proxy fight. Notably, DuPont’s stock fell 7% on the day Trian lost, and it has yet to recover. Aside from Pentair, the Trian trio indicated they’re taking positions in two other large companies in need of a shake-up, though they won’t say what they are. They have a war chest of over $3 billion in cash to deploy from their $12 billion in assets under management. 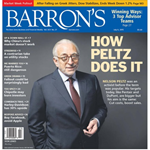 PELTZ HAS COME A LONG WAY since the mid-1980s, when he was considered a lesser light in the Drexel Burnham Lambert galaxy of junk-bond-financed raider stars like Carl Icahn, Ronald Perelman, Saul Steinberg, and T. Boone Pickens. Peltz never quite fit the buccaneer mold of many of Drexel junk-bond chief Mike Milken’s raiders. Peltz didn’t do greenmail deals like the others, buying a position in a target company and then threatening a takeover if it didn’t buy back the shares at higher-than-market price. “We actually wanted to own companies and had confidence that we could operate them, and this made some of the Drexel fold a bit worried,” he recalls. Decades later, he’s still trying to spruce up companies through judicious cost-cutting and aggressive marketing and capital spending, though given the size of his targets, he has to operate from a minority stock position. While private-equity folks and other leveraged artists take all of the profits in their deals, Peltz, May, and Garden allow fellow shareholders to participate, too. 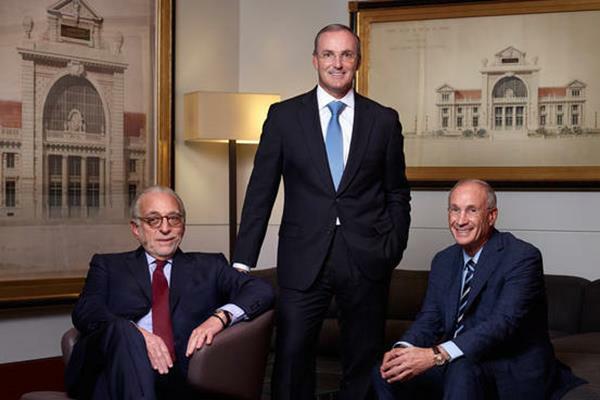 Since founding the Trian Partners hedge fund family in 2005, Peltz and May, now 72, have wielded a much bigger stick on Wall Street than they did in the 1980s and 1990s. Trian was instrumental, for example, in pushing the food company Kraft in 2012 to split for efficiency’s sake into a domestic unit, Kraft Foods (KRFT), and a faster-growing foreign unit dubbed Mondelez International (MDLZ). Peltz, May, Garden, and others close to Trian have served on the boards of well-known companies like PepsiCo (PEP), Mondelez, Bank of New York Mellon (BK), asset-manager Legg Mason (LM), retailer Family Dollar Stores (FDO), toolmaker Ingersoll-Rand (IR), and Tiffany (TIF) to further Trian’s activist agenda. Prior to the DuPont dust-up, Trian had faced only one proxy fight to achieve board representation. That was in 2006, when Heinz fought against Trian’s proposed slate of five new directors. Peltz and another slate member won. Echoes Johnson: “I developed the utmost respect for him.” Peltz, in fact stayed on the Heinz board even after Trian exited the bulk of its Heinz position, and he helped the board vet the rich leveraged buyout of the company by the Brazilian private-equity firm 3G and Warren Buffett–led Berkshire Hathaway (BRK.A). Johnson has since become a Trian Advisory Partner (a small group of former CEOs who work with the firm) and was recently added to the PepsiCo board. What Trian calls its “constructivist activist” approach seems to have served both his hedge fund partners and target companies well. Since its 2005 inception to May 30, 2015, a decade in which indexes topped stockpickers, Trian notched decent annual net returns of 9.7%, compared with an 8.26% return for the Standard & Poor’s 500 and a 4.8% annual return for the HFRI Equity Hedge Fund Index. (Trian was No. 87 this year on Barron’s Penta’s Top 100 Hedge Funds with an annualized three-year compound return of 15.99%.) Trian’s only losing year came during 2009’s vicious market selloff, when it lost 17.21%. The S&P and HFRI returns plummeted 37% and 26.65%, respectively, that year. DECADES BEFORE THEY COULD contemplate targeting DuPont, Peltz and May were running a frozen-food distribution company called Flagstaff. May, a former Peat Marwick accountant, had come on board in 1972 to help take public the Peltz family’s enterprise, which Nelson had been building since the 1960s. It wasn’t an easy ride. And by the early 1980s, the fledgling Peltz-May empire nearly crashed, after the pair sold Flagstaff to a takeover group that came up short on a promised payment. The business ended up in Chapter 11 in 1981, laid low by soaring interest rates and operating miscues. A lifeline of a sort came in 1983 when Peltz and May were able to use bank debt granted under onerous terms to buy a controlling interest in a New Jersey wire and cable and vending-machine outfit called Triangle Industries. Triangle was losing money but had a decent balance sheet. “I remember telling my wife that we were putting all our chips on the table in the deal, and if it didn’t work, I could always go back to being a public accountant,” recalls May. Peltz wasn’t that optimistic. After giving a Manhattan panhandler a buck, he mused to his new wife, fashion model Claudia Heffner, that the vagrant now had a bigger net worth than they did. They were able to turn Triangle’s operations around in less than a year, says Peltz. Their first coup came in the mid-1980s when Peltz and May linked up with Milken and Drexel to buy National Can Company for $460 million and then, a year later, American Can for $570 million for Triangle. “If the truth be told, our leverage on the National deal was infinite since our equity layer was all borrowed, too,” May remembers with a slight chuckle. But the packaging companies prospered as a result of cost-cutting combined with an audacious, junk-bond-fueled capital-spending program for new plants. In 1988, the French firm Pechiney bought the American National operation for $3.9 billion, including assumed debt, resulting in a combined personal payday for Peltz and May of about $900 million. The next big score came in 1997, when an entity that Peltz and May controlled, Triarc, bought Snapple from Quaker Oats for $300 million, $1.4 billion less than Quaker had paid for the company in 1994. In less than three years, by cutting corporate overhead and reviving the edgy Snapple marketing culture, sales volume revived and earnings surged. In 2000, Triarc sold Snapple and a few smaller beverage brands to Cadbury Schweppes for $1.45 billion, netting Peltz and May nearly $450 million. THE DECISION IN 2005 to become a hedge fund was pushed by Peltz’s son-in-law, Garden, now 54, who had joined Peltz and May two years before. “I had a ‘come to Jesus moment’ that we had to attract outside capital, as private equity and hedge funds were doing, to operate on the scale necessary to invest in more and bigger targets,” says Garden, a former investment banker. With its $12 billion of mostly institutional money, Trian has become a powerful force in activism’s most potent era. Its clientele include many major pensions, endowments, and even some sovereign wealth funds. Much of the money has lockup provisions of five years or more, giving Trian plenty of time to work its strategies on different companies. Trian’s activist style is attractive to both investment partners and target companies. Institutions like investing in mostly staid blue-chip companies that come with an informal management-consulting group -- Trian -- trying to squeeze out better results. Trian also provides management with the cover to make bold corporate cuts and other tough decisions. TRIAN AND OTHER ACTIVISTS have critics. Bill George, a Harvard Business School senior fellow and the former chairman and CEO of medical-device maker Medtronic, claimed in a blog post that DuPont’s proxy victory should embolden other companies to stand up to the bullying tactics of aggressive activists like Trian. DuPont was controversial, in part, because the stock has risen in the past three years. Others, such as fund powerhouse BlackRock’s chief Laurence Fink, claim that too many activists do “smash and grab” attacks on corporate balance sheets, either forcing companies to siphon off excess cash or incur more debt to buy back stock or boost dividends to push the stock price temporarily higher. All of this can adversely affect the long-term competitive future of Corporate America by causing companies to give short shrift to capital spending and R&D, these critics contend. Trian officials say that much of the cost-cutting they push is designed to be redeployed into growth initiatives like plant expansion and more-aggressive marketing budgets. Likewise, they typically hold stock positions for years, since makeovers of income statements to boost operating margins can’t be achieved quickly. Finally, their stakes in large companies like Pepsi and DuPont -- just 1% and 3%, respectively -- are small relative to their huge valuations. “Even when we serve on boards, we can only win over management and other directors with the power of analysis and argument,” Peltz observes. And, perhaps most interesting, if Trian succeeds in its activist makeovers, fellow public shareholders get to participate in the upside. Regardless of a losing proxy vote, Trian has influenced all of the companies in which it holds stakes, the biggest of which, ranging from $1.5 billion to $2 billion, are DuPont, PepsiCo, and Mondelez. Trian takes credit for pressuring a reluctant DuPont board and management into a number of shareholder-friendly moves since Trian’s investment was reported in early 2013. Among other things, DuPont has announced about $1 billion in long-overdue cost cuts, and just last week spun off the Chemours unit that produces products like Teflon. It also upgraded its board of directors to include two respected executives from outside the company, Tyco’s Edward Breen and former LyondellBasell chief James Gallogly, whom Trian has consulted with previously. DuPont has also disclosed plans to return $9 billion in capital to shareholders. DuPont, of course, doesn’t see Trian’s hand in these decisions. The company says they were part of a restructuring plan that CEO Kullman launched when she was named to the top job in January 2009. Yet, Trian officials insist that much more remains to be done to boost profit margins and revenue growth to peer levels, including making $2 billion to $4 billion in cost cuts and hiving off poorly performing business lines. PepsiCo has been a tough nut for Trian to crack since the fund first disclosed its stake in early 2013. The Pepsi board and the company’s charismatic Chairman and CEO Indra Nooyi turned down Trian’s suggestion to separate its fast-growing snack-food operation, Frito-Lay, from the beverage business to unlock shareholder value. But a truce was reached this year when Pepsi agreed to put Trian Advisory Partner Johnson on its board. Trian is also heartened by Pepsi’s moves to return more money to shareholders and begin a five-year, $5 billion productivity-enhancement program. “PepsiCo needs to return to its roots as a company that was lean at the corporate level and gave virtual autonomy to hard-charging, able executives at the beverage, snack food, and, until 1997, fast-food operation [since spun off],” says a Trian exec. Trian acquired a stake in Mondelez after the global seller of everything from Cadbury candies to Oreos to gum separated from Kraft in 2012. Ever since, Mondelez management has embraced much of the Trian playbook by adopting zero-based budgeting and investing in new high-tech plants to bring down production costs. The moves are starting to improve operating profit margins and earnings on a constant currency basis. Peltz joined the Mondelez board in early 2014. Expect a similarly friendly approach with Pentair, whose valves and pumps are used on farms, at food and beverage makers, and in wastewater-treatment plants, among other deployments. Trian would like the company to tap $800 million in cash and a tax-advantaged base in the United Kingdom, to make more acquisitions and grow. THESE DAYS, TRIAN’S OFFICES exude an air of establishment respectability, with lots of sedate wood paneling, muted fabric wallpaper, and architectural renderings of 19th century Beaux Arts buildings culled from May’s private collection. The firm makes a big deal of the rigor of Trian’s research. In all, 14 Trian partners and squads of analysts churn out white papers, examining in minute detail how target companies stack up against rivals, employing dozens of metrics and offering rafts of remedies to improve performance. That’s not to say that Peltz doesn’t cut a larger-than-life figure. He displays all the trappings of a billionaire. There’s his private jet and the fancy SUV that takes him to New York City daily from his 130-acre estate in Westchester County’s Bedford, N.Y., which features a lake, a waterfall, and a large indoor skating rink he built for his kids. He also owns an opulent French Regency–style home in Palm Beach, Fla., that sits on 15 acres fronting the Atlantic Ocean. He’s quick to acknowledge that he was not as good a student as his children were. Peltz was a college dropout (“I was a ski bum at the time”), but a number of his kids made it to the Ivy League, including three graduates of Yale University. His daughter Nicola is a Hollywood actress with a recent starring role in the fourth edition of Michael Bay’s Transformers movie franchise, along with Mark Wahlberg. That has remained his mantra, albeit on successively larger stages. He and his hedge fund will keep trying to make it work for its large corporate targets. Copyright ©2015 Dow Jones & Company, Inc.